Guys I just read that Shannon ends up with James?? Wtf???? @LeapofFaith wrote: Guys I just read that Shannon ends up with James?? Wtf???? Maybe it will be a Carly and Evan situation? I think from memory that Jimmy was back on SM early, so not there at the end. I don't have anything against James, but he just seems a little out of place on there IMO.. Maybe his age? I don't know, but to me, he sticks out like a sore thumb. Good thing he's a cute sore thumb. Well I would love that. No need to reveal your source if it's confidential @LeapofFaith but do you think the info is reliable? Also, the pics she's posted of Connor are... uninspired. Talks about the rose but not the man. 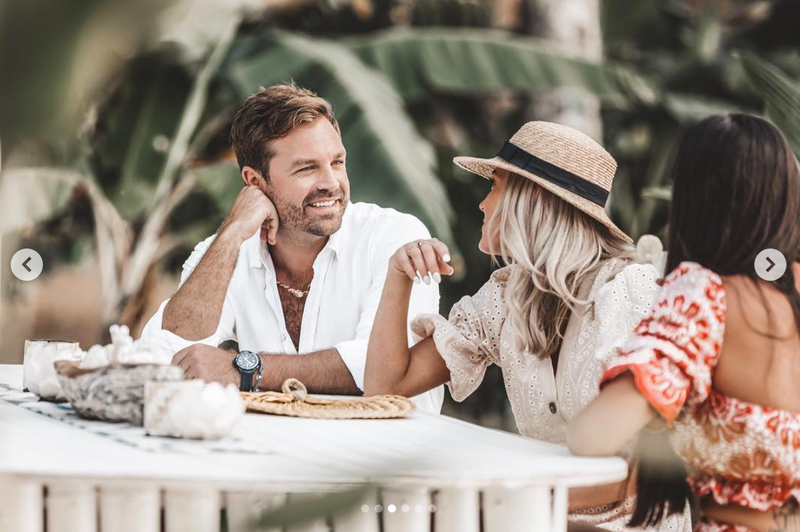 Connor hasn't posted anything about BiP at all: https://www.instagram.com/iam_cjo/ I hadn't seen his SM before. He seems like a bit of a knob; I feel like Shannon would have better taste. 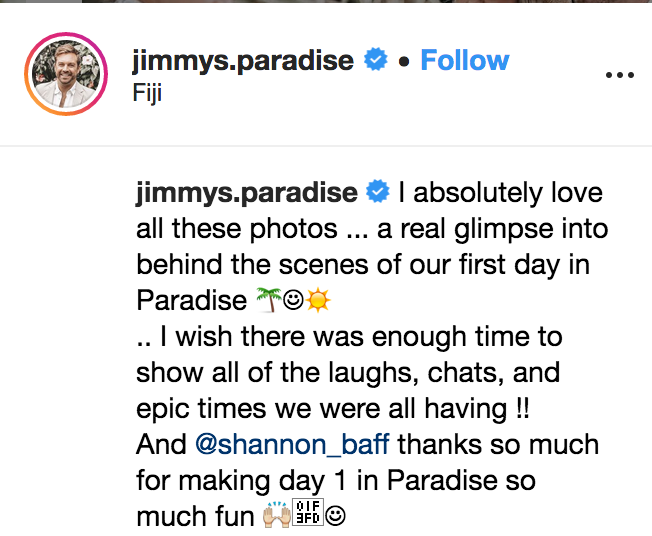 And lastly, Jimmy's following Shannon but she's not following him. Considering she's saying such nice things about him that seems suss to me... like she's trying to hide something. Could just be someone stirring sh!t, or could have something to it. 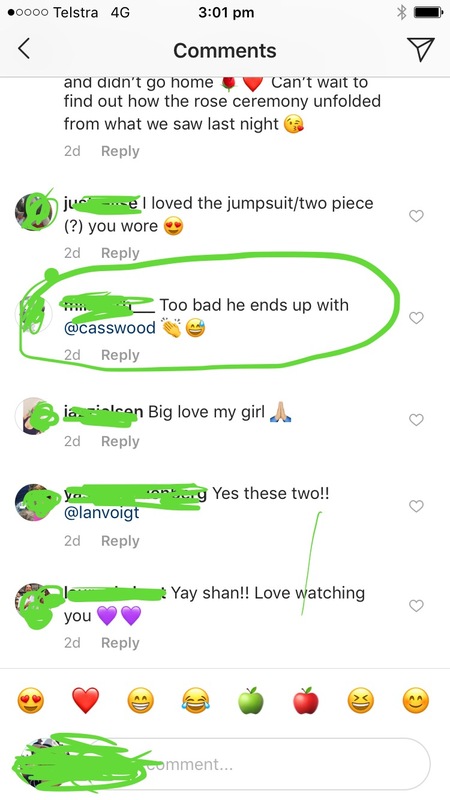 So Cass ends up with Connor, Jimmy and Shannon potentially? And Richie is alone again? Probably best he dates out of the franchise anyway! 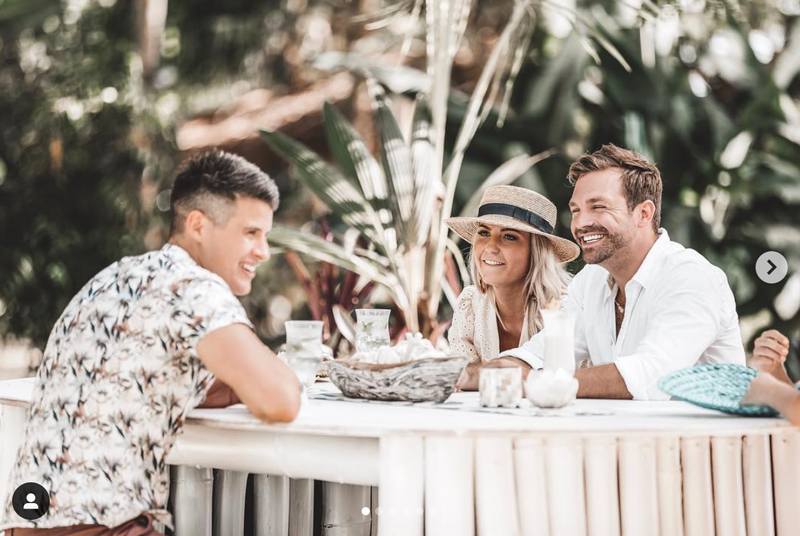 I also saw her say somewhere that the reason she picked Paddy was because she knew him from school (seriously, how small is Australia) and wanted an easy, low pressure date on the first day. Oooohhhhh... the plot thickens. Nice find, @Dirty Street Pie. 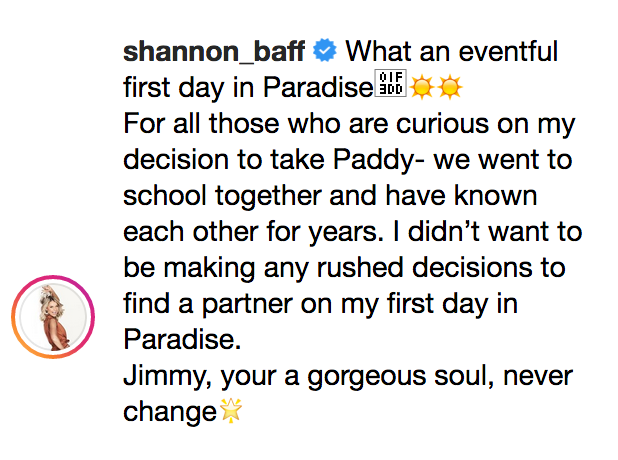 re: Paddy yeah odd wording (the comment is in my screen cap above: "I didn't want to be making any rushed decisions to find a partner on my first day"). 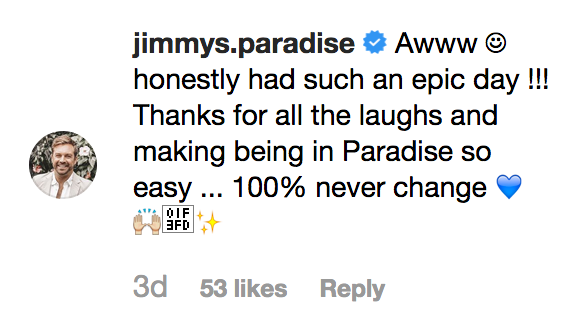 Sounds like she could be setting up a slow burn with Jimmy. It would explain why her kiss with Paddy was so awkward (I wouldn't be pashing anyone I went to school with!) but surely she'd realise time and dates are limited and there's not time to just muck around with school friends? Anyway I don't see her ending up Connor if he hasn't posted a single pic of them together, and if he ends up with Cass you think he'd at least post SOMETHING about the show? Weird. I don't know him at all - is he a player? And yeah, I was expecting Richie to leave single so that would fit too. He'd have been able to take his pick of the Bach girls without having to go to Paradise IMO. Seems more like just a fun/publicity for him IMO. Would also explain why Richie is such long odds on Sbet, while Connor, Shannon and Tenille don't appear at all. Only have odds for one member of each couple perhaps But why is Alexnation at 4:00 if she ends up with Bill? 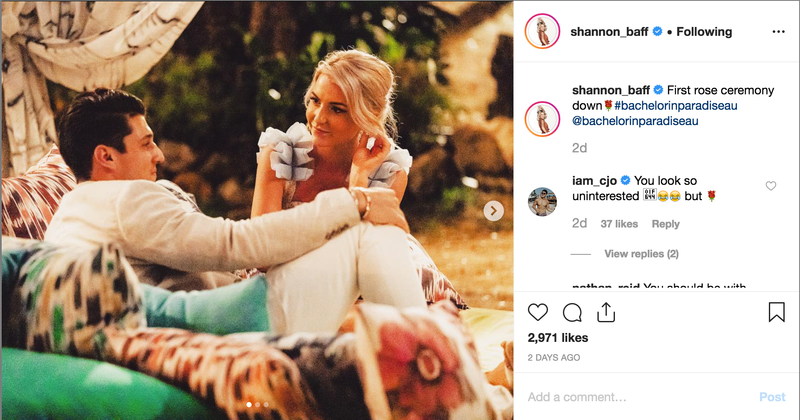 Bachelor In Paradise star Vanessa Sunshine failed to receive a rose on Thursday after making it clear she wasn't impressed by any of the show's male suitors. 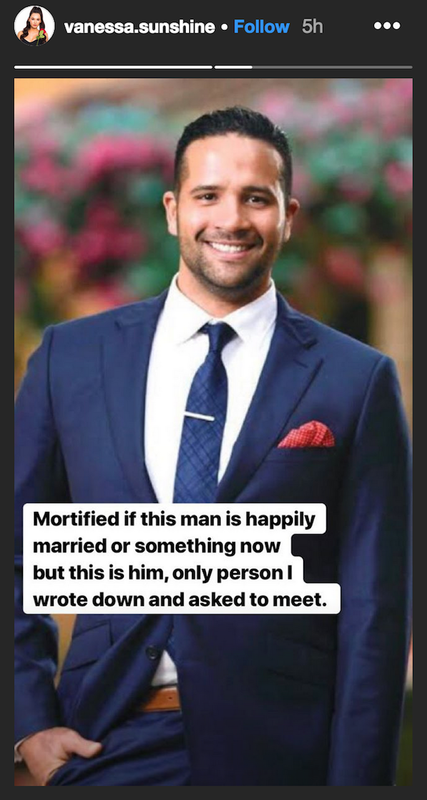 But it might have been a different story had her crush, former Bachelorette contestant Jefferson De La Rosa, had made an appearance. 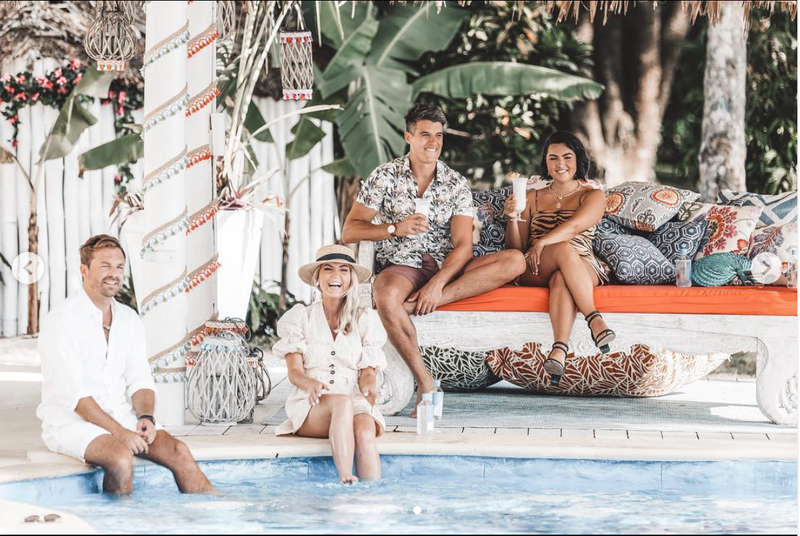 Taking to Instagram for a Q&A on Sunday, the 29 year-old revealed she had hoped to spark a romance with the Sydney-based events manager.